The CW recently released some additional photos from the third episode of Black Lightning which is titled “Lawanda: The Book of Hope.” The episode airs on Tuesday night, January 30, and what’s especially interesting about the new photos — beyond the fact that they feature our first real look at Chantal Thuy as Grace Choi, a character very much associated with Anissa Pierce in the comics — is that she’s holding an Outsiders comic book. 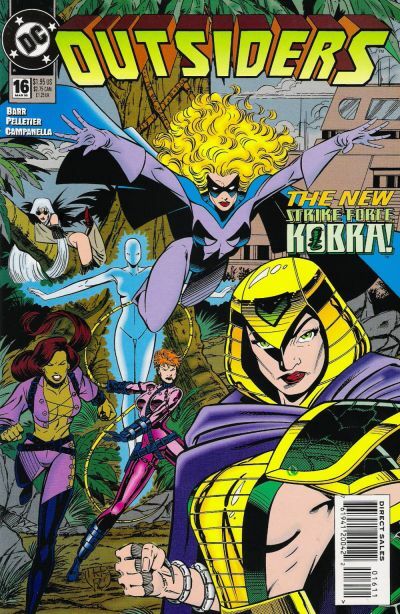 One might notice that none of the familiar Outsiders are on this comic book cover from early 1995; instead, it’s members of the evil organization known as Kobra (as opposed to COBRA, a ruthless terrorist organization determined to rule the world of G.I. Joe.) In fact, although Black Lightning or members of his family have been long known for his association with the Outsiders, none of the Pierce family appears in this issue of the comic book. It may be intentional, in case there are any characters the series may want to introduce in the future. The comic book Outsiders premiered in the 1980’s as Batman’s own answer to the Justice League, in a series originally called Batman and the Outsiders. Beyond the Dark Knight, the team included Black Lightning, Metamorpho, Katana, and a character named Halo. There have been several revivals, with the most successful being the period that saw the team led by Nightwing. You can get a better look at the comic book Grace is holding to your right; the full gallery of Black Lightning Episode 3 photos can be found below. 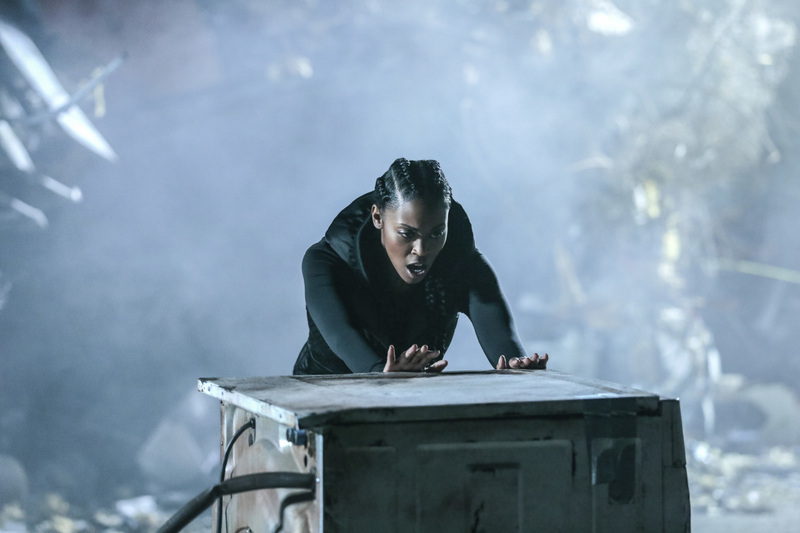 Black Lightning -- "LaWanda: The Book of Burial" -- Image BLK103a_0162.jpg -- Pictured: Nafessa Williams as Anissa Pierce -- Photo: Carin Baer/The CW -- ÃÂ© 2018 The CW Network, LLC. All rights reserved.